Due to the process-based nature of the Session program, Rutherford Chang: We Buy White Albums underwent constant modifications; the features of this page provided accruing information on the Session’s developments and will continue to track the project’s progression beyond Recess’s walls. 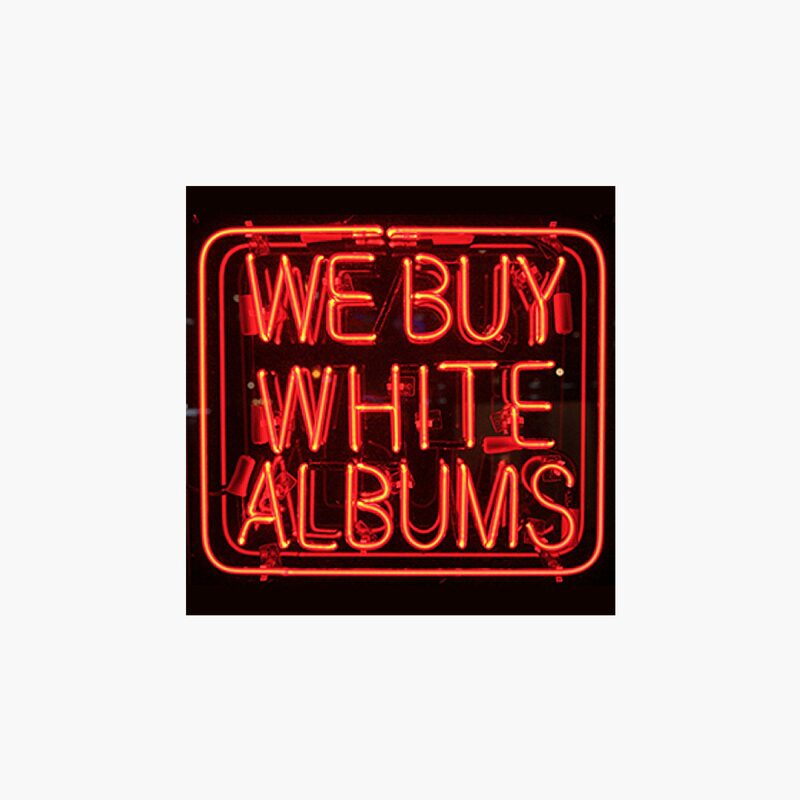 On January 7, 2013, Rutherford Chang will begin work on We Buy White Albums, as part of Recess’ signature program, Session. Session invites artists to use Recess’ public space as studio, exhibition venue, and grounds for experimentation. Pursuing an interest in exhaustive cataloguing, Chang has collected over 650 first-pressings of the Beatles’ White Album. He considers the serialized first-press, an edition running in excess of 3 million, to be the ultimate collector’s item, and aims to amass as many copies as possible. Over the course of his Session, Chang will create an archive, listening library, and anti-store to house and grow his collection of the Beatles’ iconic record. 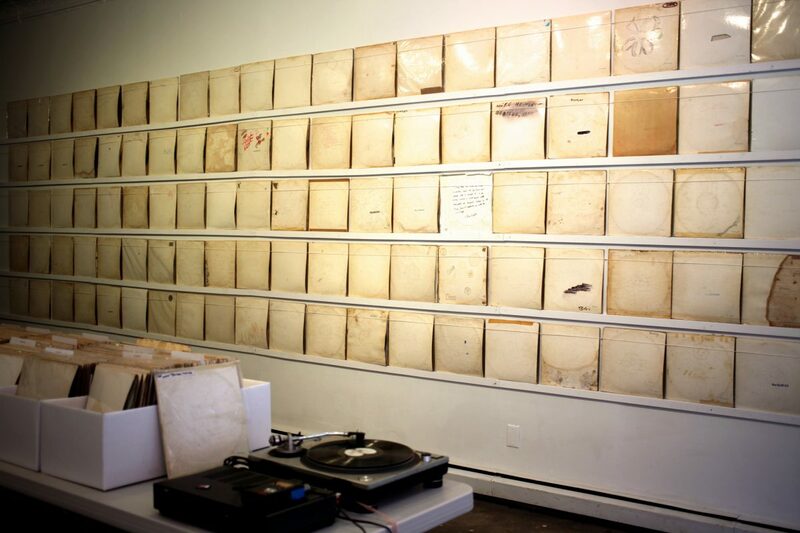 Chang will create a record store that stocks only White Albums. But rather than selling the albums, he will buy more from anyone willing to part with an original pressing in any condition. Visitors will be invited to browse the collection and listen to the records. The artist will digitally record every album played during the Session period, as well as document each gatefold cover and disc label. At the end of the Session, Chang will press a new double-LP made of the accumulated recordings and images layered upon each other. The album covers are weathered, often with marks or writing from previous owners, and the vinyl discs are usually scratched or warped. The character of each copy, distinctly shaped by its history, is told through the physicality of the media. This phenomenon, at the cusp of extinction due to digital technologies, is made apparent by the identical yet unique multiples that comprise Chang’s collection. Rutherford Chang was born in Houston and currently lives and works in New York and Shanghai. He received a B.A. from Wesleyan University in 2002. His work has been exhibited internationally at venues including White Space in Beijing, Brown Gallery in London, and Haus der Kulturen der Welt in Berlin. Download the press release for We Buy White Albums. This program is supported by public funds from the New York City Department of Cultural Affairs in partnership with the City Council. This program is also supported by the New York State Council on the Arts with the support of Governor Andrew Cuomo and the New York State Legislature.